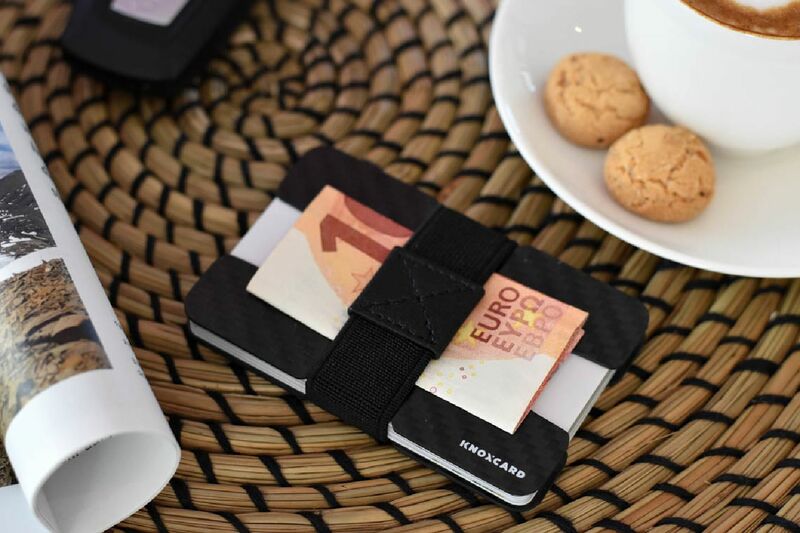 KNOXCARD is a smart minimalist wallet and a credit card organizer. With its weight of 17 gram and size of 89 x 55 mm it fits almost every pocket and yet can accommodate up to 16 cards and several notes. May be used as a secondary travel wallet or to store loyalty cards. Durable carbon fiber blocks RFID signal and reduces a risk of an unauthorized data access.